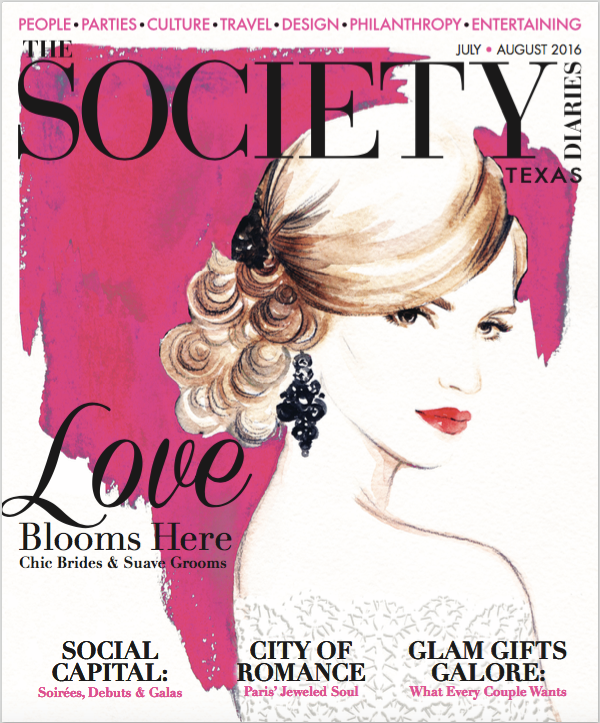 Among my many projects, I am a Contributor for The Society Diaries, a bi-monthly lifestyle publication that is distributed all across the great state of Texas. I mean, who else know more about what makes Dallas fabulous than me!? 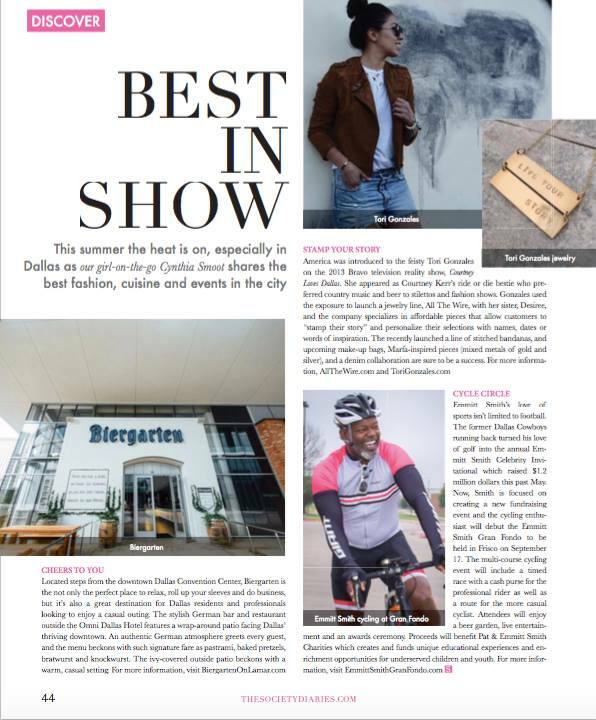 In every issue I get an entire page to spotlight the restaurants, fashion designers and retail stores that I think are worthy of a Texas-sized spotlight. In the new July/August 2016 issue I am shining a spotlight on Emmitt Smith's passion for cycling and the launch of the inaugural Emmitt Smith Gran Fondo happening in September; my amazing friend, Tori Gonzales, who spun her 15 minutes of reality TV fame into a fashion blog and a jewelry line with her sister called All The Wire, and Downtown's hippest new spot for a cold beer. Check out the article online at http://www.thesocietydiaries.com/best-in-show/.